Ian Wright specialises in wallpapers, painting, and murals. We take care of everything from creating bespoke murals and wallpapers for your home through to wallpaper hanging and installation. 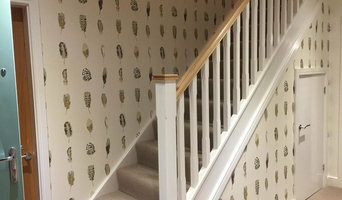 With thorough knowledge of wallpapers and paints, we can advise on the best style and pattern for each room and carry out the work with an immaculate finish. Simpson Decorating provides a second to none service for all interior redecoration to domestic dwellings, new builds, offices, and refurbishments; we also undertake insurance work. The majority of our customers continue to use us for future projects and recommend us to family and friends. 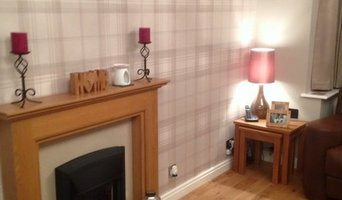 We are an established, friendly, family-run painting and decorating company based in Leicestershire. Paul Simpson has been a decorator for over 30 years and is fully experienced in all aspects of painting and decorating: All our works are carried out to a very high standard and protection of all your furniture and fittings is a high priority, your property always being left clean and tidy. We supply free no obligation quotes, are fully covered with Public Liability insurance. We can even arrange for any plastering and artexing works to be undertaken prior to redecoration. We cover the following areas: All of Leicestershire Nuneaton, Bedworth, Coventry and surrounding areas Please contact Paul or Julie Simpson on 01455 444468/07721623320 or send an email to enquiries@simpsondecorating.com and we will be happy to discuss your requirements and arrange to attend and supply a free written no obligation quote. Having worked for some of the most bespoke companies in the UK where attention to detail is of the upmost requirement. I have also worked in Qatar painting a new palace for HRH the Emir on a 6 month project in 2013. 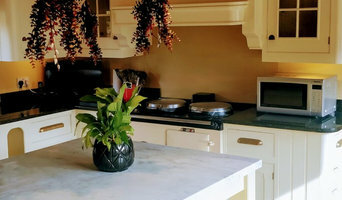 J & R Interiors Ltd are a well-established family run business based in the West Midlands area, covering all of the West Midlands, East Midlands and Staffordshire areas. They have worked further afield on many other projects from Gloucestershire / Blackpool and Liverpool, so no job will be turned down. With a wealth of extensive knowledge for design and creativity, J & R Interiors can transform your house, from a house to a home. The personal touch is key with the work they do, offering design consultations, passing on their material discounts to many more reasons as to why you want J & R Interiors to come in and change your home’s look and feel. Our fully qualified team are able to offer their services to the whole of the East midlands and surrounding areas. With the use of modern spraying technology our team are able to spray a very high-quality finish for both domestic and commercial scale jobs. Our dustless-sanding equipment enables us to leave any house or commercial space clean and tidy throughout the project keeping personal safety as a top priority. After working on a vast variety of surfaces SOS Decorators have an advanced knowledge of products and paints that aren’t readily available off the shelf. Our 5.7 metre tower allows us to access areas without the need for scaffolding, keeping unnecessary costs at bay. High class local painter and decorators delivering a truly bespoke service to our clients in Bakewell and throughout the peak District. Lane Sheppard was founded by John Lane in 1946 with the aim of providing a high-quality decoration service to private and commerical customers. This aim was preserved by John's son Colin and is now being delivered by Colin's son, Thomas. Our approach to work is one of absolute dedication to client satisfaction. We know that the best advocate for our organisation is a happy client. Our staff are all highly skilled, efficient craftsmen who are passionate about their work. The same dedication to detail and quality is given to every one of clients, regardless of size or budget. We provide decorative services to clients across a whole range of sectors and in a whole range of settings. All of our work is guaranteed for 3 years. We are delighted that a significant proportion of our work comes from private clients. The fact that almost three-quarters of our work with these clients is repeat-business is another source of delight. We work hard to understand our clients wishes and we don't rest we have achieved the desired finish. We are proud to work with some leading interior design and architecture firms working across the UK and Europe. We are also regularly commissioned by the National Trust and a number of ecclesiastical bodies to work in the many historic and religious properties that they manage. Our work within the educational sector has been praised widely and we have worked in universities, colleges and schools in both the private and public sector. We work closely with a select number of construction customers to help their clients create beautiful living and working spaces. We work in newly constructed sites, as well as refurbished spaces. Our approach has led us to be commissioned on a number of high-value projects including candidates for RIBA Awards. 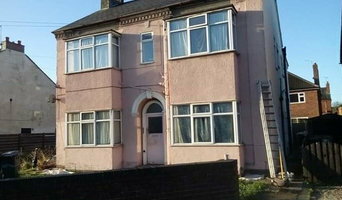 Nottingham Painter and Decorator the best custodian of Nottingham's Painting needs. Nottingham Painter and Decorators can proudly say we have been servicing Nottingham for many years. Our intimate team of Painter/Decorators understand that you the customer is number one to our business. Your needs and requirements are catered to first before any work or payments are even processed. We want to be a good Painting and Decorator company, well we are a good painter and decorator company and that comes from how you feel about our work and customer service. Affordable service with you at the core of our beliefs. We provide a quality handyman service for all your property needs. We aim to please and always listen to our customers, not out competitors! What jobs do Derby, Derbyshire painters and decorators do? 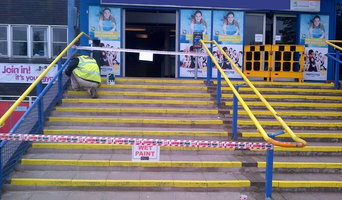 As well as plain painting jobs, many Derby, Derbyshire painters and decorators will take on other jobs as well. If you’re dealing with an old or run-down property and you need the walls completely stripped down before painting, this could be tackled by a Derby, Derbyshire painter decorator. Some professionals will also carry out repairs on paint work and walls, from small cracks and holes to sometimes larger repairs like fixing window panes, doorframes and sills. Some painters and decorators may specialise in certain kinds of painting, such as window exteriors, doors, gates and fences. And finally, you may find some contractors are very good at the finishing touches, not only neatly finishing paint work but also installing beautiful wallpaper, wall stickers, painting intricate or fiddly features or even painting patterns and murals on your walls. Why should I hire a painter and decorator in Derby, Derbyshire rather than doing it myself? Even if you are planning on going very simple with your walls, perhaps a crisp white or grey, then using Derby, Derbyshire painters and decorators to finish the job to a high standard is still advisable. Not only will it mean your painted walls will be clean and precise, but it will also save you the time and effort of painting and decorating yourself. House painters in Derby, Derbyshire will be quick and efficient at painting your rooms, and if you have a tricky outside wall or space that needs painting, specialist exterior painters are the professionals for the job. Search for Derby, Derbyshire painters and decorators on Houzz to see past painting and decorating projects and reviews from clients to see if there’s a professional that can help you with your project. Even if a local painter decorator doesn’t specialise in your kind of project, ask them first, and they may know other professionals that can help, such as wallpaper specialists, paint companies or wall sticker or mural installers. Find a painter decorator on Houzz. Narrow your search in the Professionals section of the website to Derby, Derbyshire painter or decorator. You can also look through Derby, Derbyshire photos to find examples of painting and decorating jobs that you like, then contact the professional who worked on them.